Before and After…. A while back (1.5 years) I needed a dog gate that was short enough to step over but tall enough to keep our little puppy out of the only room on the first floor that had carpet. So this is what I built, just a quick project. And that is the same dog that is not so little any more. Nice looking gate. Very handsome dogs. 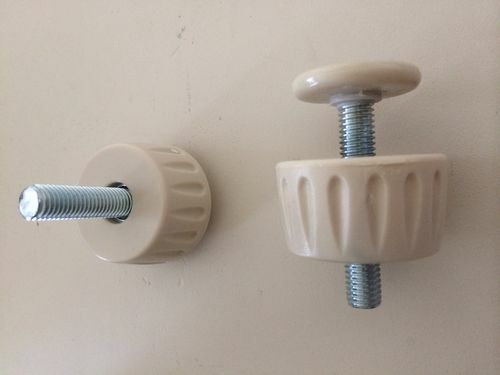 What are the knobs and how do they work to hold it? Thanks. The bolt fits in a hole that is drilled in the gate. Then you just tighten it up. I do not know where you can find them they came off the gate in picture 2. That’s a good looking quick project and it works. Great job and adorable dogs!